No Sun, No Problem in St. Kitts! 1 IT NEVER RAINS IN THE CARIBBEAN! IT NEVER RAINS IN THE CARIBBEAN! I was so sure that St Kitts was going to be 85 and sunny that I didn’t even think twice about checking the weather before hopping on my recent flight from Logan International Airport. Flight number one from Boston to Miami went flawless as usual. My connection in MIA left me with some time to burn. The one thing I love about stopovers and connections is that it’s a great opportunity to charge up all of my gear for my next flight. While all of my electronics were topping off, I chomped down a strawberry SOYJOY that had been hiding in the bottom of my bag. 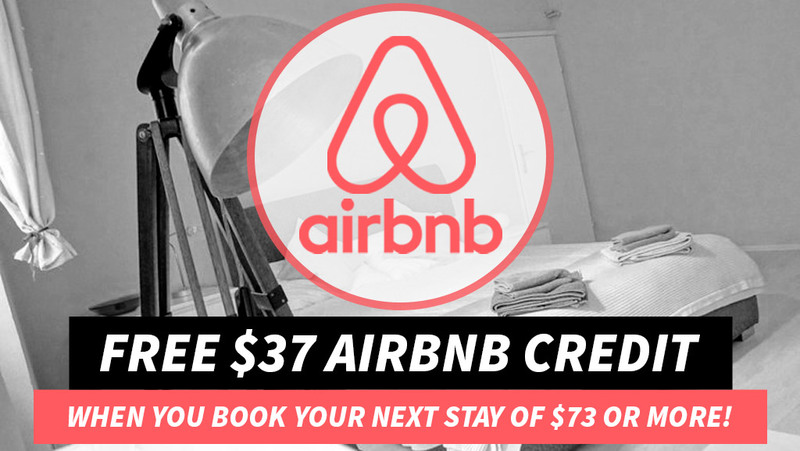 Hey, it beats than spending exorbitant amounts of money on unhealthy food in the airport. Right? My flight from Miami to St. Kitts was going great until I heard some chatter from some passengers a few seats behind me. One of them mentioned that they were on the flight from Miami to St. Kitts yesterday and they got all the way to St. Kitts before the pilot came on over the loud speaker informing the passengers that they would be turning back to Miami due to not being able to land in St Kitts. The reason was that there was a tropical storm brewing over the island and the heavy rains and winds from the storm wouldn’t allow the pilot to see the runway in order to land. As we approached St. Kitts we peered out the windows in hopes that all was clear up ahead. Unfortunately, for us, it was far from clear on the island. The dark clouds and heavy rains from tropical storm Rafael were at it again and they were really screwing up my plans to enjoy three beautiful days on St. Kitts. The pilot was trying his best to maneuver his way through the thick cloud cover but it just wasn’t ending. There was a quick break in the clouds, and I noticed that we were just about to land on what looked to be a runway. All of a sudden the pilot hits the gas and pulls the plane up into the air as if we were taking off again. At this point everyone was really startled by the pilots actions. We had just about landed before we took off again due to the pilot not being able to see the runway ahead of him. Talk about a scary situation! The pilot comes on over the intercom telling us that he could not land and that we had about 15 minutes of gas left to circle around the island and make one last attempt. If we couldn’t land this time around, we would have to head over to Puerto Rico to fuel up and then we would most likely be headed back to Miami. Everyone was in shock yet at the same time we all wanted to arrive safely no matter what. I really didn’t want to miss out on a trip to St. Kitts, but I was totally fine with flying over to Puerto Rico if that’s what the pilot decided. 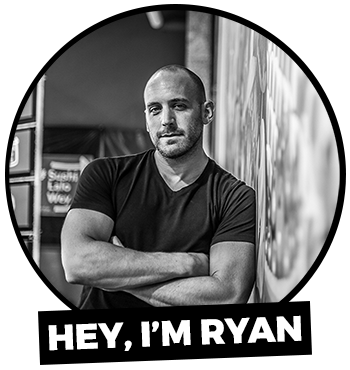 I’m with him! We made one last loop around the island before making our second and final attempt to land in St. Kitts. The cloud cover opened and I glanced over the person beside me only to see us flying very low over the airport yet again. I thought, well, I guess we’re headed to Puerto Rico. Fortunately, the pilot had a different idea. As we approached the runway in the opposite direction this time, the pilot gave it one last burst of gas. We had one of those landings where the plane being blown around in the wind and it feels as if we land on the left wheel of the plane only to balance out on to the right wheel half way down the landing strip. The passengers erupted with a round of applause for our pilot. The woman next to me is shedding tears out of fear and joy that we’re still in one piece. 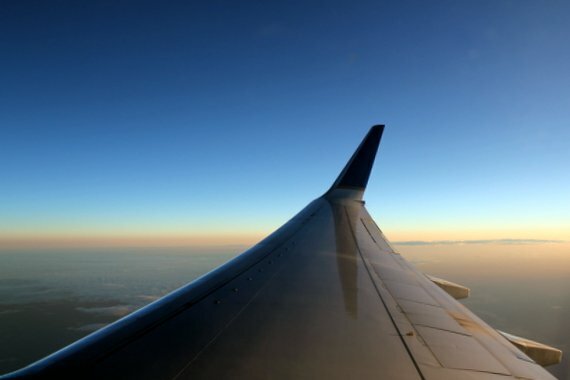 Let me tell you that I’ve been on a hell of a lot of flights in the last four years and this has been the scariest flight I have ever been on, hands down. Fast forward through customs and baggage claim and we’re on our way to the St. Kitts Marriott Resort, our home for the next three days here in St Kitts. Our driver is navigating us through the flooded streets of the island and we’re just hoping to see a ray of sunshine at some point during our trip. 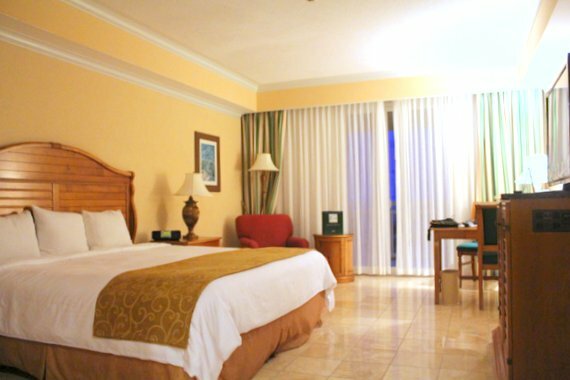 Upon check in we’re shown to our King Pool/Ocean View rooms at the St Kitts Marriott Resort. Talk about living it up here in St. Kitts! 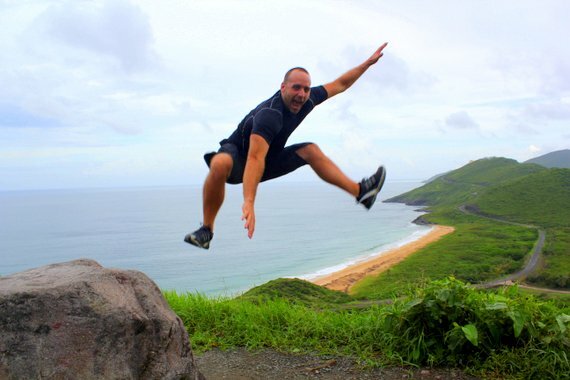 Yeah, it’s raining but no rain can stop me from enjoying myself here in St. Kitts! Normally, it would be tough for me to be locked down in a resort but this resort is an exception. I’ll stay cooped up here for a week and enjoy every minute of it! Once it was time to head to dinner, I was settled in, well rested and ready to chow down! Our group spent a couple hours over dinner and drinks getting to know each other and getting to know a little more about the property thanks to Lavern Stevens, the PR Manager at the St. Kitts Marriott Resort. The following morning we awoke to torrential downpours, thanks to our friend Rafael. Tropical storm Rafael, that is. Our original plans to do an ATV tour and a rain forest zip line canopy tour were unfortunately going to have to be scrapped and we would have to find something else to do on the resort. 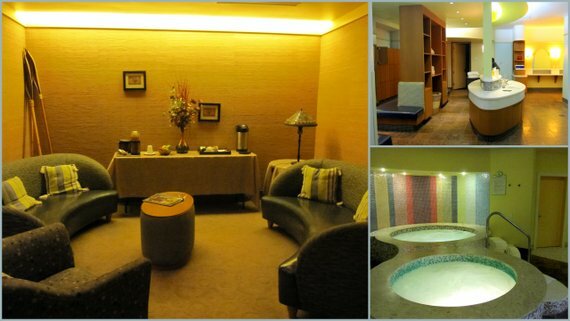 How about a spa day at the on-site Emerald Mist Spa? Yes, please! 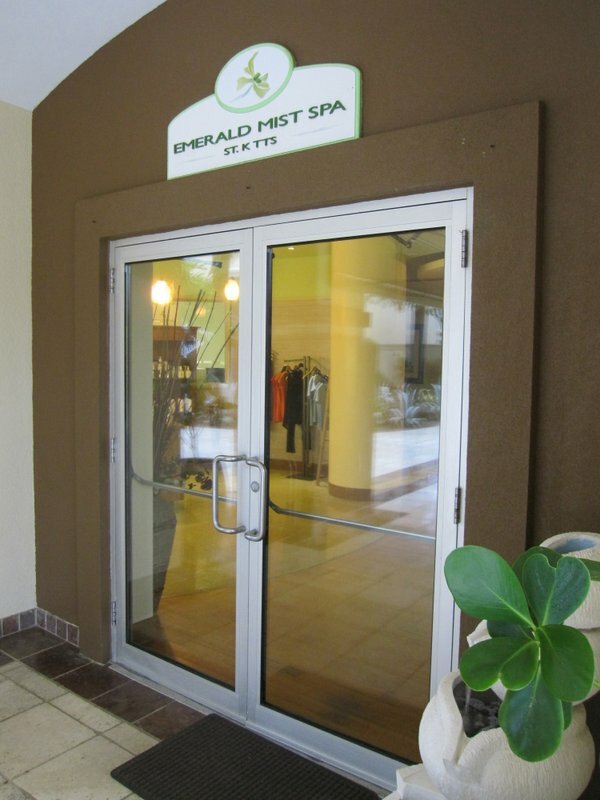 My 12 o’clock appointment at the St Kitts Marriott Emerald Mist Spa would be my first real spa experience on my travels. You would think that with all of the traveling that I do, that I would have visited my fair share of spas by now, right? Unfortunately, I have been really missing out! I really wasn’t sure what to expect but my massage therapist, Paulette, informed me that I would be receiving a Swedish massage this afternoon. My first ever Swedish massage, I should add. Enjoying my spa day at the Emerald Mist Spa! As it turns out, I thoroughly enjoyed my massage. Enough that I caught myself falling asleep at a few different points during the session. I can honestly say that I’ve never felt so relaxed in my entire life after finishing up my massage. I felt as if I was walking through the spa in slow motion afterwards. I took some time to relax in the Sauna followed by a long shower in order to clean all of the oil off of my body from the massage. 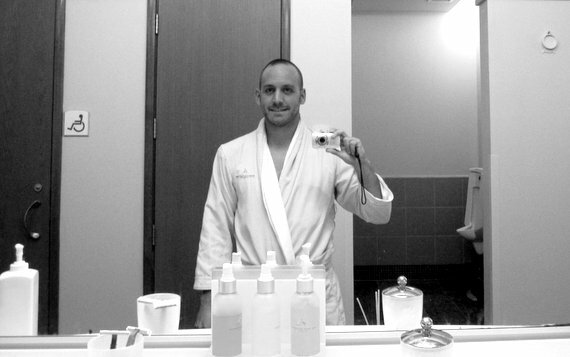 After an incredible spa experience at the Emerald Mist Spa, I made my way to my room in typical zombie fashion. Arms out, sleep walking. Can I just say that I love spa days? 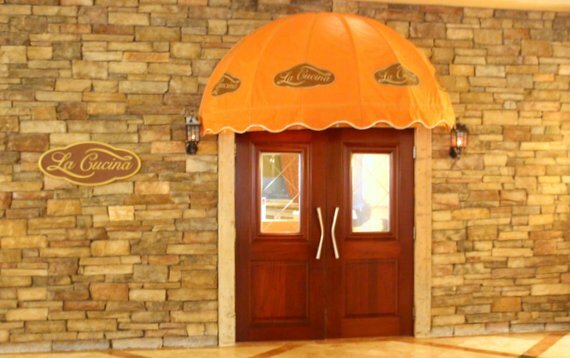 Later on that evening we dined at La Cucina, yet another amazing restaurant at the St. Kitts Marriott Resort. I went with the chicken parmesan and it was absolutely delicious. We knew we were dining in the right place when we noticed the Prime Minister of St. Kitts dining at the table next to us. 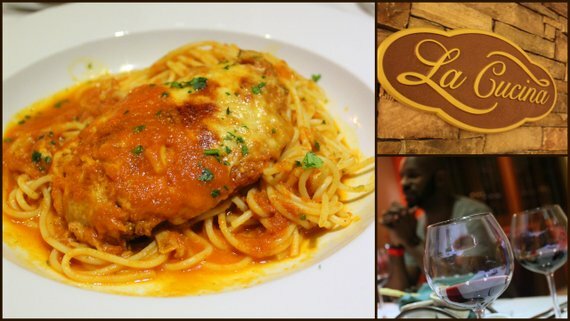 If La Cucina is good enough for the Prime Minister of St. Kitts, it’s more than good enough for me! Our final full day on the island was, yet again, a wet one. We enjoyed a nice lunch at El Fredos before making our way downtown. 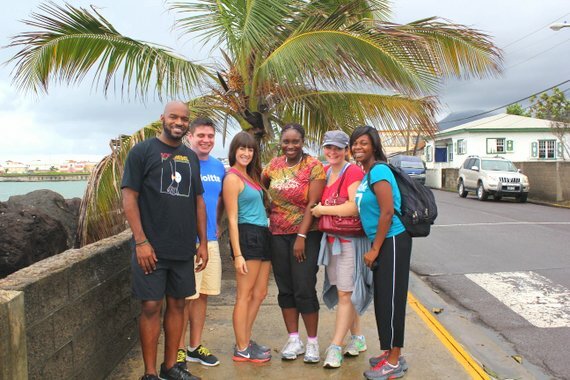 Fortunately, the sky opened up a little bit in order to give us the opportunity to walk around the downtown area of Basseterre without getting completely drenched. Left to Right: Nathan Fluellen, Ian Lang, Lisa Schwartz, Lavern Stevens, Rachel Naud, Vanessa Jackson. Lavern took us on a short walking tour around town and I got the chance to snap a few really nice photos along the way. 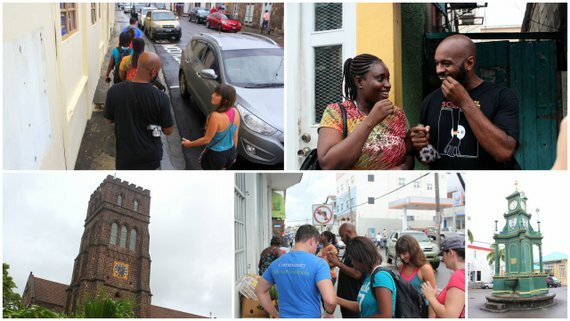 After exploring a little bit of downtown Basseterre, it was time to head for the hills. 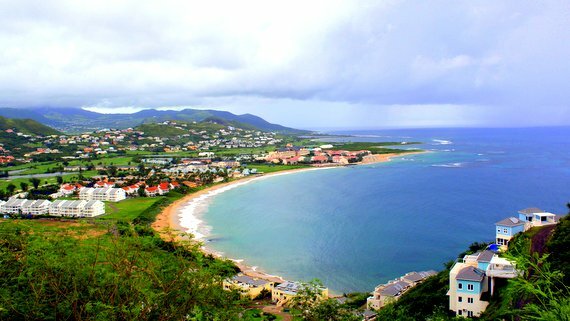 Just five minutes drive up from the St. Kitts Marriott Resort lies a hill side viewpoint that I immediately fell in love with. 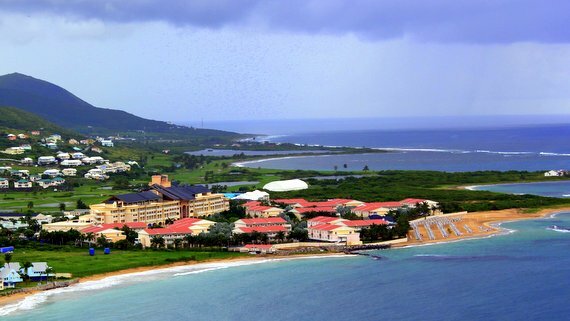 Here’s a closer look at the St Kitts Marriott Resort & Royal Beach Casino below. Views from both sides of the hill were out of this world. Here’s what the view from the opposite side looked like. You know I had to Pause The Moment in St. Kitts! Our last and final dinner in St. Kitts was hosted at Marshalls by chef Marshall himself. The food was absolutely spectacular. 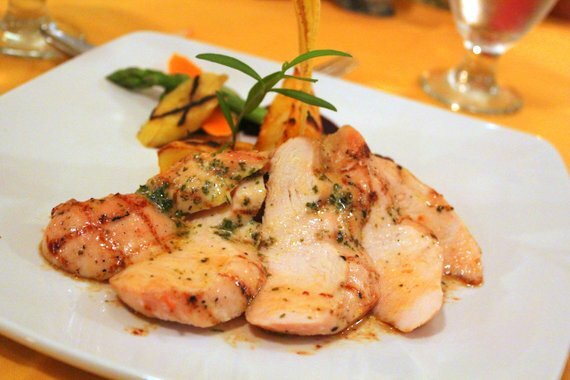 I went with the delicious Grilled Breast of Chicken served with Tarragon Butter shown below. What I found most interesting about Marshalls was the fact that there was a large inground pool situated smack dab in the middle of the restaurant. I don’t know about you, but seeing a pool in the middle of a restaurant was definitely a first for me. 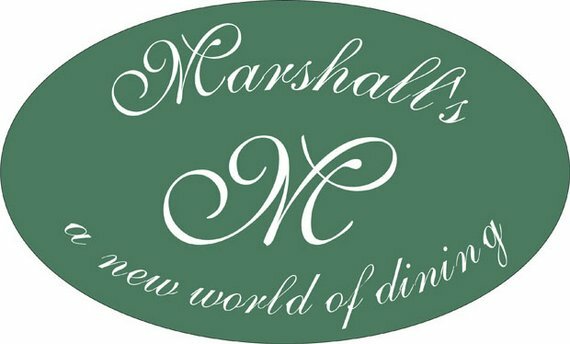 That aside, Marshall’s restaurant is phenomenal and if you’re planning on making your way to St. Kitts, be sure to add Marshall’s to your “to-do” list. 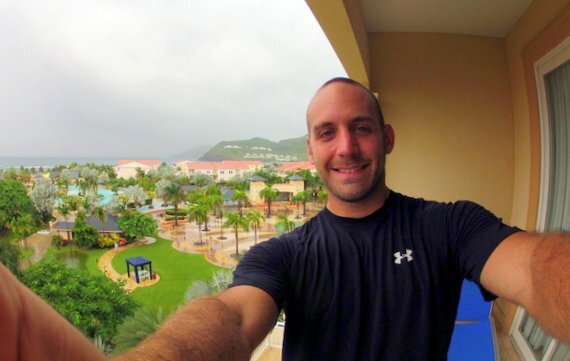 Although it rained nearly the entire time I was in St. Kitts, I still managed to have an amazing time getting to know the ins and outs of the St. Kitts Marriott Resort. I would have to say that the “Spa Day” at Emerald Mist Spa was one of the most memorable parts of the trip being that it was not only my first time experiencing a spa but also my first time getting a Swedish massage. One thing that I didn’t mention above was that the St. Kitts Marriott has a pretty decent sized casino on site for those of you who like to do a little gambling when you’re on vacation. The Royal Beach Casino is currently the only casino on the island and we were fortunate enough to be able to take a tour of it during our stay. I really enjoyed the restaurants that we dined at during this press trip to St. Kitts. 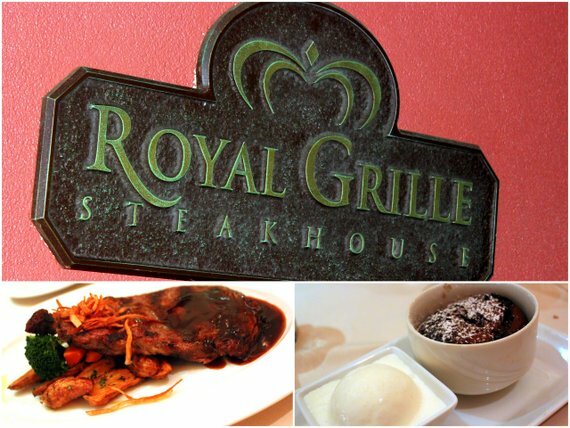 The Ribeye at Royal Grille Steakhouse, the chicken parm at La Cucina, and the Grilled Chicken at Marshalls. Yum, yum, and yum! Overall, I would say that St. Kitts is definitely a destination that I would like to visit again. Hopefully, the next time I visit St. Kitts it will be 85 and sunny just like I had imagined it would be this time around. One thing to remember is that it never rains in the Caribbean! Have you been to St. Kitts? If so, what was your experience like? If you have never been to St. Kitts, would you consider going there now after reading about my visit? Leave a comment below! Thanks for the St. Kitts article. 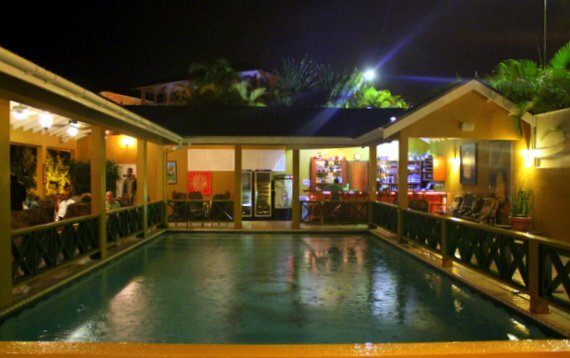 We are going to the Marriott’s St. Kitts Beach Club (2 bedroom condo) on July 7th for 7 nights. 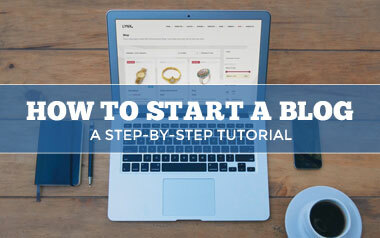 We will report back to you with a summary and a few pictures.